I offer heart rate based training for ultrarunners. My plans include tips on nutrition, race strategy, race selection, fully customized plans and lots of personal attention. I offer coaching for runners looking to increase speed, avoid injury and chase after a big goal. My specialty includes helping athletes transition from working out to training with focus. I am Dana Katz, head coach and owner of UltraU. 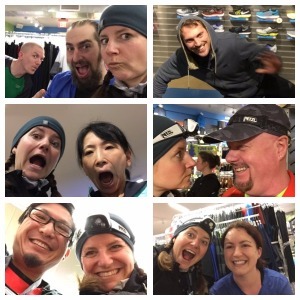 I started UltraU in 2012 as a way to incorporate geeking out on running data and my love of working with others. I combine over 10 years in teaching and corporate training with my own endurance experience to provide practical training plans for athletes at all levels. My specialty is providing completely personalized plans that use data to ensure progress toward your goal. You can find me working out on stairways, hills, hiking trails, bike paths and lake sides in all types of weather. When I am not working out I love to travel, bake and eat. Personal accomplishments include running the Grand Canyon, rim to rim to rim, finishing four 100 mile races and surviving a run injury without killing anyone! Athletes must have a GPS watch with heart rate monitor that syncs to Training Peaks. Success. Coach Dana Katz has been notified of your message.